In January 2019, a small research company called Small Biz Trends – famous for investigations of trends and reasoning behind the most notorious marketing campaigns in digital business – released the results of their most recent work on why startups fail. The main takeaway is that 9 out of 10 startups fail – and sadly, not all the reasons are clear. What I admire about this kind research is that it doesn’t focus on advice for the young and aspiring, or reveal secrets about how to build a fintech company. Rather, it serves as a precaution for the bold ones who decide to involve themselves (or are already involved) in the generally troublesome startup sphere. Although trying to capture even one-tenth of the real reasons for early collapses is a ridiculous idea itself (because nobody really knows them), informed observers – like Small Biz Trends – are aware of some predictors of startup success. Let’s talk fintech here. If you think about it, fintech startups are more like kids — they are highly vulnerable, immature and need constant attention and support. Like with kids, you only get one or two chances to succeed, and penalties for misbehavior (regulatory incompliance) can destroy your future. On the other hand, for most people, it’s worth trying to realize a smart idea right off the bat, but even the best of ideas it is not the primary predictor of its success. What is it, then? The known ones include an appropriate market fit, a competent technology team, sufficient funding, and the age of the founders. Another famous study by MIT on the relationship between the startup founder’s age and a startup’s success rate draws more radical conclusions on the topic of age. The average age for a successful start-up founder appeared to be forty-five. “Knowledge comes from experience,” they say. It’s funny that by the time one has acquired a university degree or dropped out – recall the well-known stories of Steve Jobs and Bill Gates – one is around 22-24 and probably does not know a thing about business. But the desire to start a company and be included in the Under 30 is stronger than the research data indicates. And there are many more factors like that, both obvious and not. This article is about these factors. Success of a fintech startup — the ability to perform business functions without external investment — is possible only through the quality performance of all business departments, executed at the right time, aimed at the right audience. 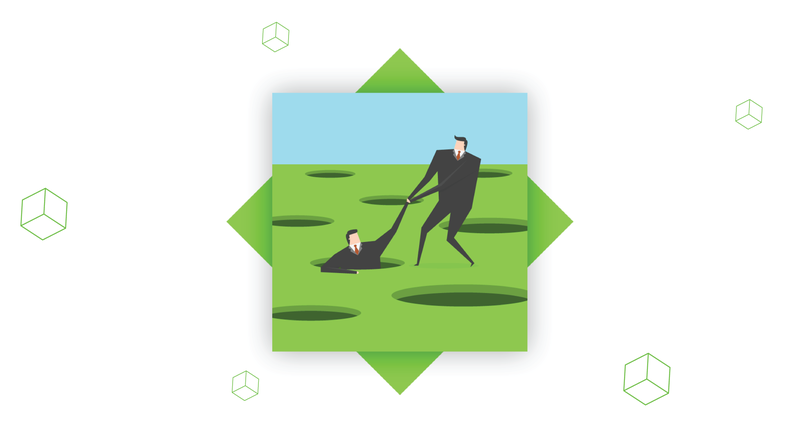 Achieving market fit prevents a company from a number of problems. One problem leads to another. When a founder has an idea and wants to create a fintech platform but cannot fund a startup, he looks for investments. Investments allow quick development. During development, marketing can be neglected. No marketing leads to missed market fit. No market fit means no users (=income). No income leads to underfunding. Underfunding shuts down the entire company. Unfortunately, we again made the mistake of focusing on engineering first and customer development second. We released our first version to some moderate success, and then proceeded to continue to churn out features without understanding customer needs. Only later on, after finally engaging potential customers, did we realize that market was too small and the price point was too low to have Caliper sustain our company by itself. How is it, then, that some startups gain new rounds of investment, one after another, while others do not? One important stage of the development of a fintech startup is a period when the MVP is released to the market and early adopters (the first batch of active users) provide feedback and share it with the community. After that, the product is improved according to the feedback, and the next version is a better fit for users. 1. Market research. Google for competitors to discover whether somebody’s already doing what you want to do. If so, try their product and identify its flaws. Find out if the competitors are in demand. If not, why? It’s either because their service solves a problem but does it poorly (a green light for you), or there’s no need for such a product (red light — time to pivot!). 2. Customer development. After you’ve studied your competitors, you will have a set of assumptions regarding what about your product might interest people. Customer Development is the activity of discovering, testing and validating your business assumptions. Simply put, you talk to your customer to see if your business is progressing in the right direction, the direction being the market fit. Do not assume that if ‘they just don’t get it’, you can educate your customers. The link below digs into the details of customer development. For the time being, keep in mind that you will be doing this frequently. 3. Keep the development/marketing balance. With each new release, you must get feedback. Either positive or negative, aim for feedback. The truth is that people do not expect to get a solve-it-all product. Neither do they expect it to be technologically perfect. In the early stages, you should keep it good enough. Spending your budget to get the best IT product leads to a high-end application and no awareness of its existence, which in turn leads to zero ROI. These four activities are considered universal. Over the course of 20 years or so, they lead to all sorts of talks, lectures, and discussions among the top managers of successful companies, each of which was once a startup. Dealing with market research, customer development, development/marketing balance, and readiness to pivot increases your chances of shipping a product that people may find useful. It will demonstrate profitability and attract more investment until your startup becomes a mature, independent business. If you re plan to include a Time to Market stage (I hope I have convinced you on that matter by now), you’ll want your MVP to be ready ASAP. This depends on the tech partner you choose and the tech stack they use. More on that in the second part. When a brilliant idea strikes you, you are probably all alone with it. 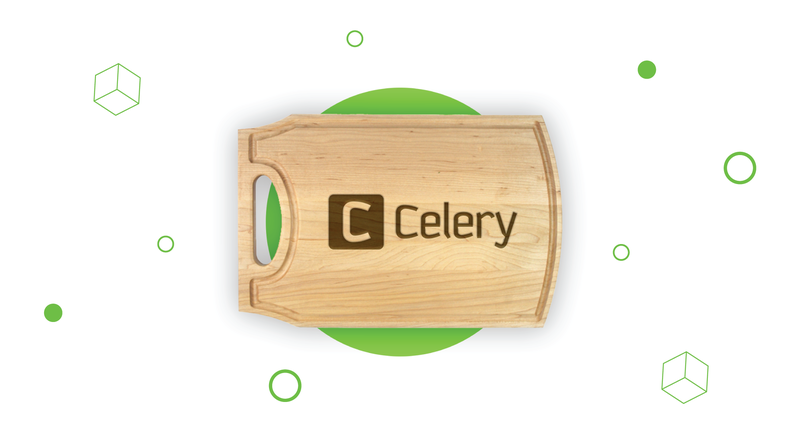 If you’re lucky, you have a partner (a co-founder) who is as enthusiastic about it as you are. But then, as you start elaborating the idea, you find yourself acquiring more and more partners — technological partners, investors, mentors, and so on. The financial services industry is a very particular industry where experience really matters. Noam Wasserman, a Harvard Business School professor, discovered that 65% of fintech startups failed as a result of a co-founder conflict. Below you will find a brief overview of what to look for in partners. Fintech startups looking to raise VC funding must choose people with both experience and understanding of the space. If you decide to go with an online banking or insurance partner, it is crucial to think about what it takes to raise money from regulated financial services incumbents. 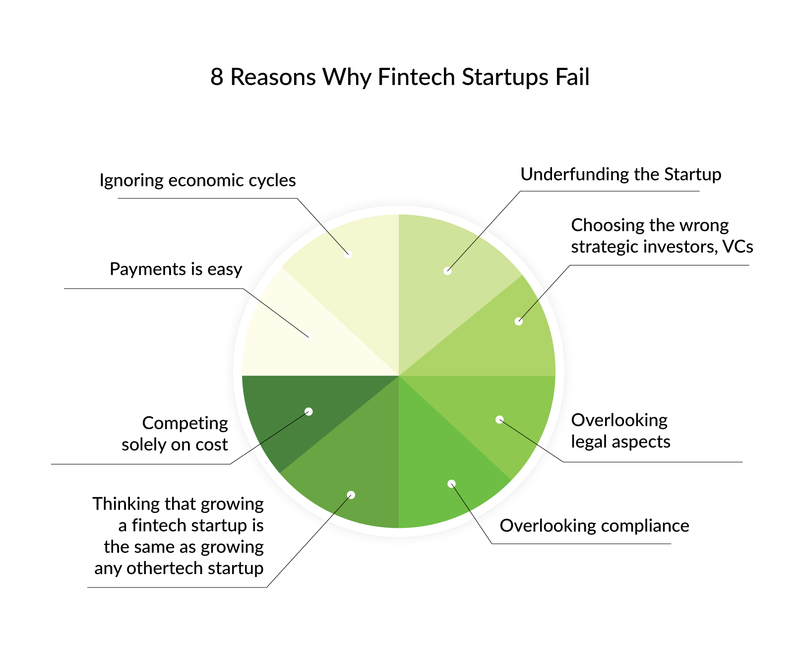 Fintech startups must ask if regulatory approval is needed and plan accordingly. Before closing an investment with an incumbent, they must ask what type of reporting they will need, what type of governance, and what type of ongoing information they will require. These organizations work under different rules and cultures. As for technological partnerships, you must both share the same long-term perspective to avoid hasty decision-making. The tech team should be even more actively involved in creating a fintech app to meet the Time to Market line. The Time to Market version is your MVP that is good enough and markets well enough to get the first batch of active users. Ask for references or portfolio, if one exists. A proven technology provider can support their claims with previously developed fintech apps and documented success stories from their clients. Be careful about the technology-first-approach. Sometimes, technology is used for the sake of using the technology. Always keep in mind that technology is only a medium for achieving business objectives. A shared attitude and approach towards market-oriented products and quick MVP development is what makes a great tech partner. 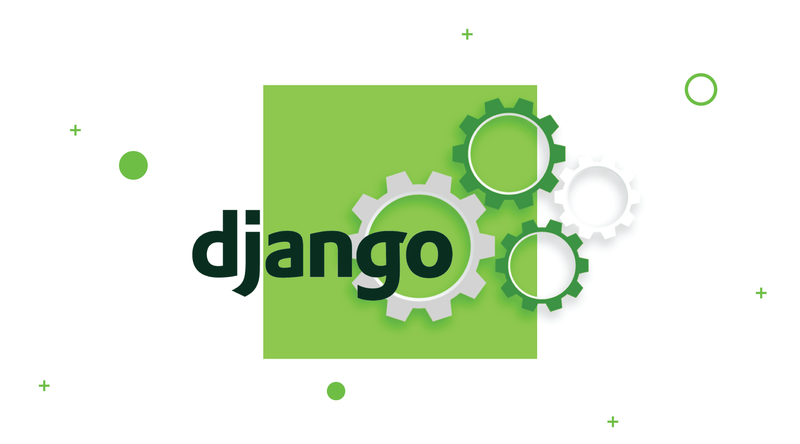 Django Stars has been developing Python/Django fintech products for a decade now, and our wholesome engagement into this technology helped us become o proficient and focus on marketing MVPs rapidly. We’ve written a separate guide on using Python/Django for startups, so if you’re in the middle of choosing this technology, you might find it useful. Having a mentor for a startup increases your chances for promotion by five. As with other partnerships, you have to be careful when choosing this partner. Simply finding a more experienced manager does not work. What works, instead, is identifying your gaps and finding somebody who can help you cover those gaps. Like a puzzle. What differs a mentor from a co-founder is that a mentor will challenge your ideas, views, and business decisions to make you consider other points of view while using their own experience to sort of guide you. They should not dismiss your propositions daily, though. Opt for someone who is credible, empathetic and a few ‘levels’ above you in terms of experience. Your views should also align, since the mentor will contribute not only to the fintech software development, but to the company’s culture as well. Look for competitors. Compare what they do with what you are going to do. If possible, learn whether their business is engaging. Create a one-page site, include a call-to-action to measure potential market response. Do the Mom’s Test. Talk about the customer’s life instead of your idea, and ask specific questions about their past instead of their future (e.g., “When was the last time you bought insurance online?” vs “Would you buy insurance online if you could?”). expectations on both sides and mark long-term goals that you will be trying to achieve. Feedback > Results > Validation > Repeat. Learn from you customers and gather qualitative and quantitative feedback. Put forward a hypothesis and validate it. 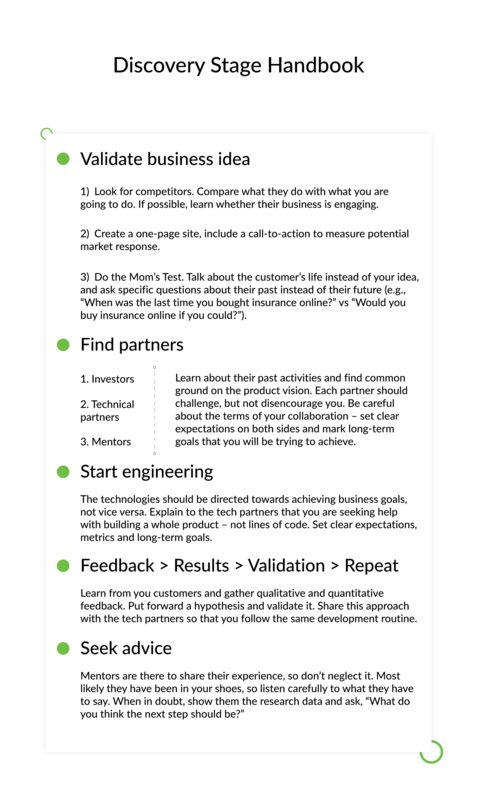 Share this approach with the tech partners so that you follow the same development routine. Start engineering. The technologies should be directed towards achieving business goals, not vice versa. Explain to the tech partners that you are seeking help with building a whole product – not lines of code. Set clear expectations, metrics and long-term goals. The conclusion I would like you to draw from this post is that the more you plan, the less you suffer afterwards. This takes time and effort, which is one reason why not every entrepreneur goes beyond the idea stage. And even after that, most startup fail, and fail hard. Focusing on the market fit decreases your chances of building a neat, but low-demand application. One thing I always remind my colleagues about is that although we work with computers,code, and data, we do it for people. This shifts the focus of engineers from writing code to answering people’s needs. As a result, fewer companies end up as the subjects of news reports on failed startups.